Making new friends, trying new things, a safe way to explore some independence: everyone loves camp! And it’s not just for summer anymore. Winter camps are cropping up to provide creative childcare during the holiday break. Frost Valley YMCA, the classic country summer camp in Claryville, presents three ways to do camp in the winter. 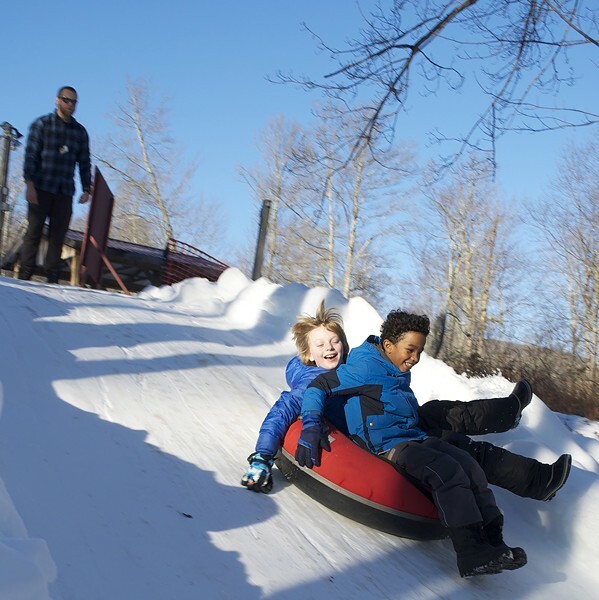 All three offer lots of opportunity to enjoy the outdoors (something kids never seem to get enough of), including winter sports adventures like snow tubing, snowshoe hikes, broom ball, and survival skill classes. There’s also indoor archery, a climbing tower, and arts and crafts like candle-making. Two of the programs allow kids some independence (and parents, a break or chance to work). First, a classic sleepaway program runs from December 28th-January 1st, where kids ages 7-16 can unroll their sleeping bags in a heated cabin and enjoy the winter realm. There’s even a ball drop on New Year’s Eve! It’s just $500 for the week and includes all meals and activities. The second is the day camp option, where kids ages 4-15 can enjoy all the trappings of the sleepover camp, just during daylight hours. It’s $165/4 days or $185/5 days, and includes lunch. The third program from Frost Valley YMCA is great for those hoping to use the holiday break as an opportunity to reconnect and spend more time together. It’s a family program, where everyone can go to camp! “Actually, every weekend is family weekend here,” says Dan Weir, Frost Valley’s summer camp director. People enjoy three-seasons of lodging and seasonally-geared activities (the exception being summer, when campus is only open to child campers), but from December 26th-January 1st, cabins are half price! You can stay for anywhere from 2 to 5 days with family and friends of all ages. With four activity periods per day to choose from, plus evening programs, there’s sure to be something for everyone. 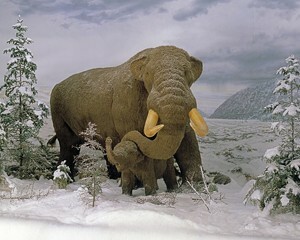 Visit http://frostvalley.org/camp/winter-camp/ or call (845) 985-2291 x. 450 to learn more about any of these three programs and to register. In Kingston, check out Cornell Street Studios’ Children’s Winter Arts Program. On December 30th and 31st, kids ages 5-11 can sign up for a full day of art and movement with specialty instructors from the area. At the request of parents satisfied with their summer week-long program, the Winter Arts Program is an outgrowth, now in its second year. It offers new things to try like hula-hooping, kickboxing, and winter-themed art projects with local artists. Each child is just $65 for one day or $100 for both! Check it out on Facebook or email Renee at rdarmstadt514@gmail.com. Register by December 27th! Choose a half day, whole day or whole two weeks of gymnastics and crafts at The Little Gym of Kingston, where day camps are themed extravaganzas! Each day offers 3-12-year-olds a new course, new music and new set of tumbling skills to be learned. Camps run December 22nd-January 2nd (with the exception of Christmas and New Year’s Day) and always include gym time, a healthy snack, and crafts projects with exuberant instructors. In keeping with their registration flexibility, the Little Gym is family-budget friendly, too, with package pricing, sibling discounts and a generous sick credit policy, so you never have to worry. Call (845) 382-1020 to sign up. 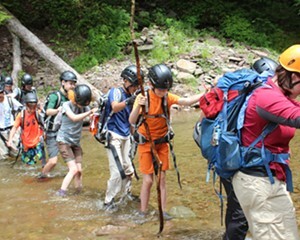 For families who want to explore while burning some healthy energy this holiday break, winter camp is just the thing.